Chances are, that if you’re reading this, you’ve had an #OpportunityMoment as a young adult that elevated your prospects for a brighter future. An #OpportunityMoment is a moment in your life that expanded your education, catapulted your career and/or paved a pathway to possibility. For more than 5.6 million young adults in the U.S. between the ages of 16 – 24, their #OpportunityMoment has yet to arrive. They are disconnected from school and work yet are brimming with promising potential. Not coincidentally, U.S. employers will face a shortage of 12 million skilled workers by 2025. 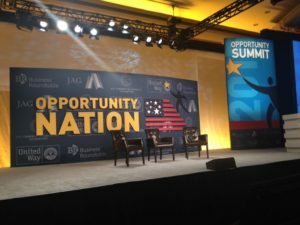 This crisis – which has detrimental economic and societal impact for our country’s future – is the reason why more than 1,000 corporate, public and private sector leaders convened at the third National Opportunity Summit in Washington DC. Policymakers like U.S. Secretary of Labor Thomas Perez, corporate leaders like Blair Taylor, Chief Community Officer of Starbucks and nonprofit leaders like Alan Khazei, CEO of Be the Change, Inc., among many others, graced the stage to voice the urgent need for bipartisan, cross-sector collaboration to solve this issue. The key takeaway: we all have a role to play in closing the Opportunity Divide for millions of youth in this country. And I invite you to be a part of this movement. If you’re early in your career, pay it forward by finding peer-to-peer or youth-to-adult mentorship opportunities in your community. Your guidance and perspective will make a world of a difference in youth who are navigating education and career options. Find mentorship volunteer opportunities on VolunteerMatch. If you’re civically engaged, support bipartisan initiatives towards criminal justice reform in your city or state. Many are slighted from a second chance because of nonviolent crimes committed in their youth. Advocate for initiatives that help set post-adjudicated youth on the right path. Call your mayor’s or local state representative’s office to find out what’s going on in your community and how you can get involved. If you’re an employer, create not only work-based learning opportunities such as internships and apprenticeships, but also commit to hiring young adults. You don’t have to go about this alone. Collaborate with youth workforce training programs in your community to identify talented youth who are eager and ready to learn new skills and gain employment experience. Visit GradsofLife.org for resources such as toolkits and a partnership directory. In the words of Senator Cory Booker, the most valuable natural resource this country has is its young people. Let’s work together in conserving and cultivating our young adults. Do your part – we got this. 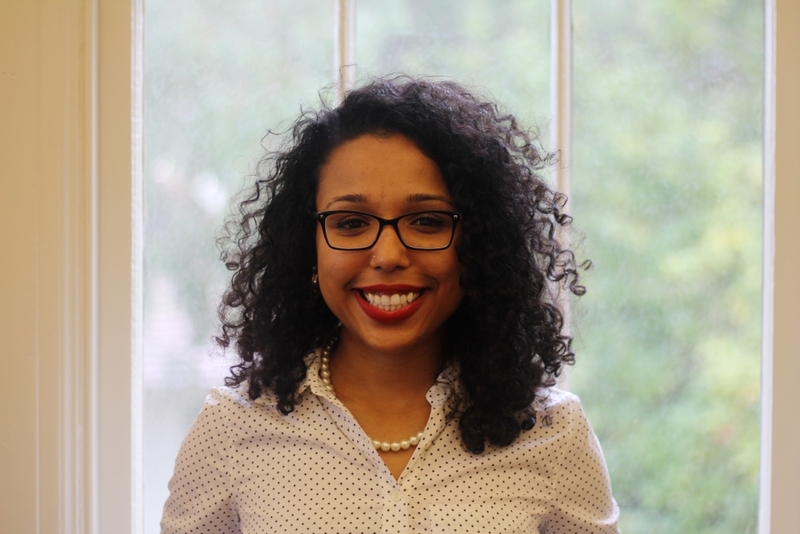 2014 ProInspire Fellow Ivellisse Morales serves as the Marketing & Communications Manager for Year Up Bay Area, a nonprofit that empowers young adults to go from poverty to a professional career in a single year. 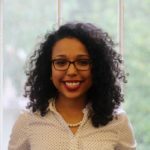 Originally from New England, Ivellisse graduated with a BS in Communications from Boston University and kick-started her social impact career in cause marketing at Cone Communications. Follow her on Twitter: @ivi_mo.